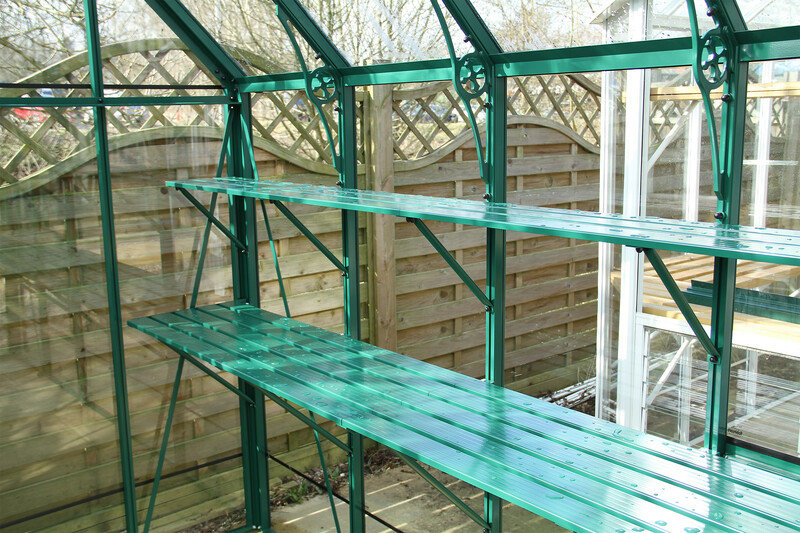 It’s this unique R-Pro box-section technology that really sets Robinsons greenhouses apart from other brands. 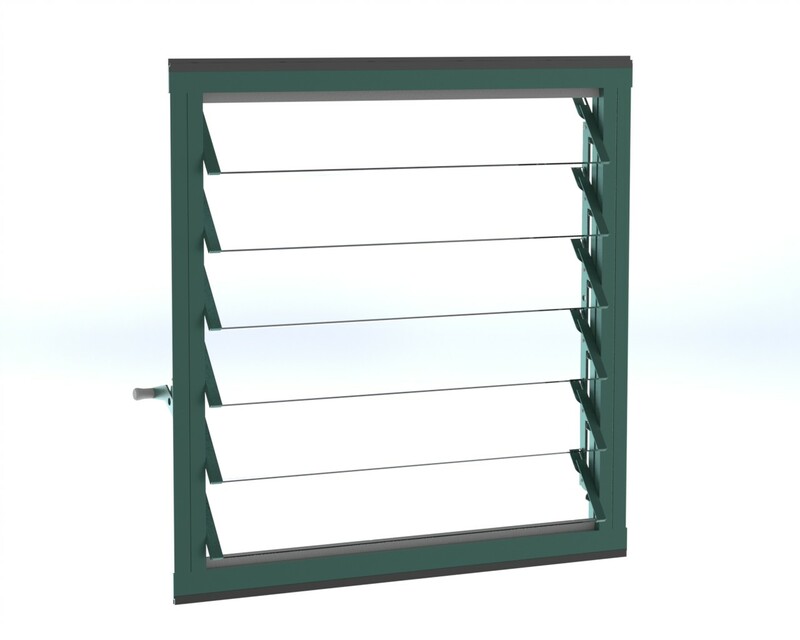 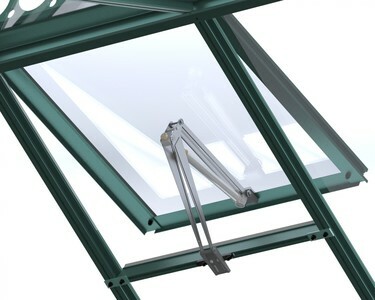 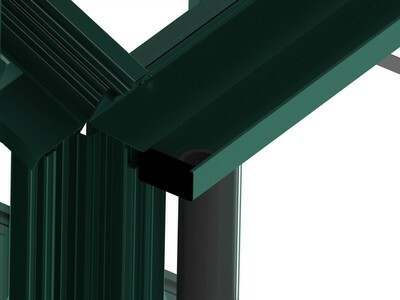 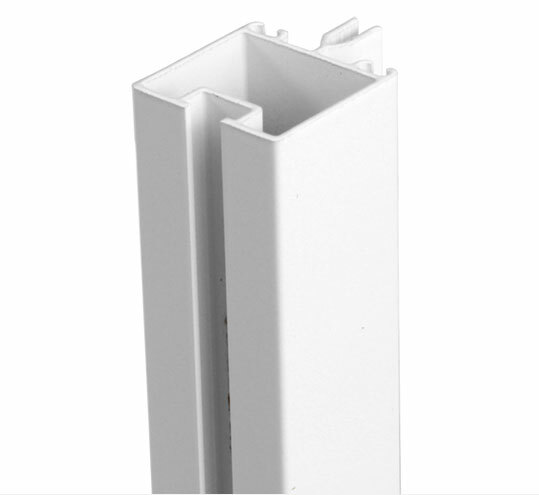 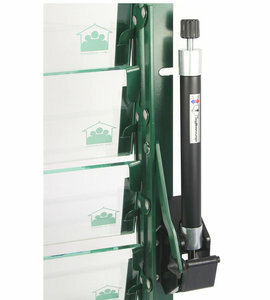 The clever box-section designed glazing bars are particularly resistant to twisting. 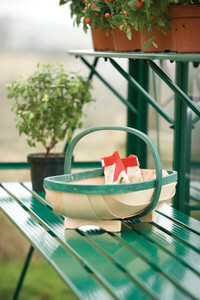 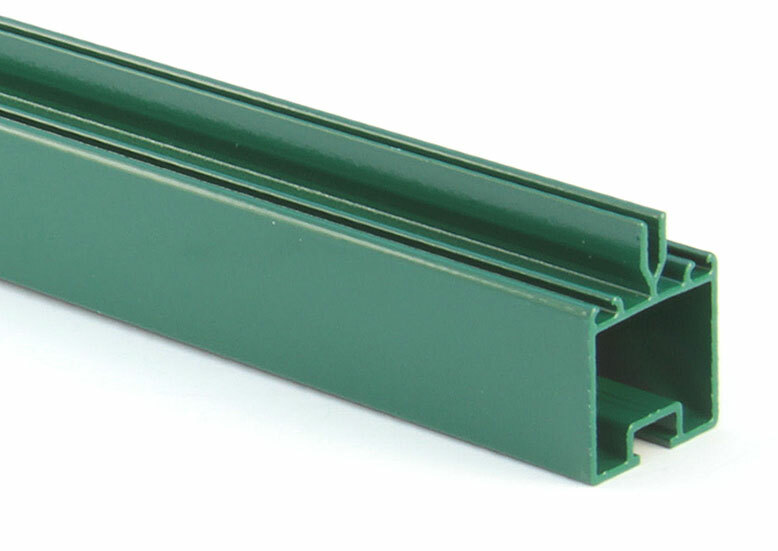 In fact, unlike most greenhouse bars, you can’t twist them with your hands if you try. 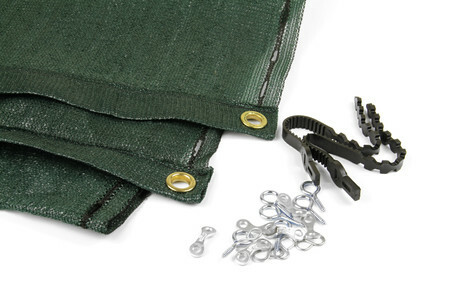 It’s this ‘twist resistance’ that is so vital during windy conditions. 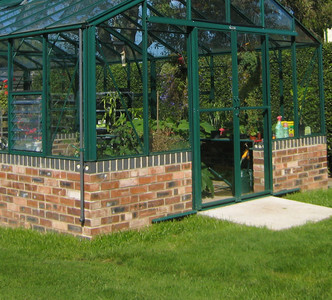 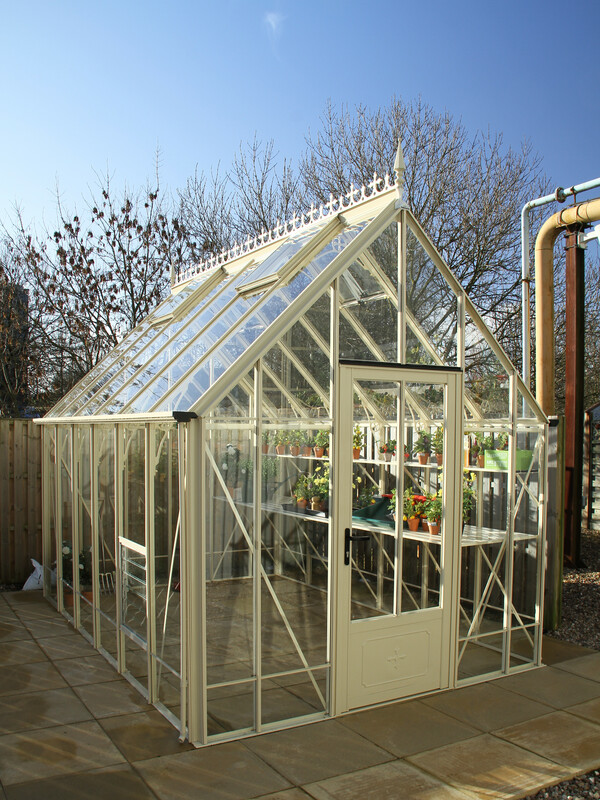 This makes the entire R-Pro frame extremely sturdy and Robinsons greenhouses have long been revered amongst gardeners as one of the strongest and most reliable that you can buy. 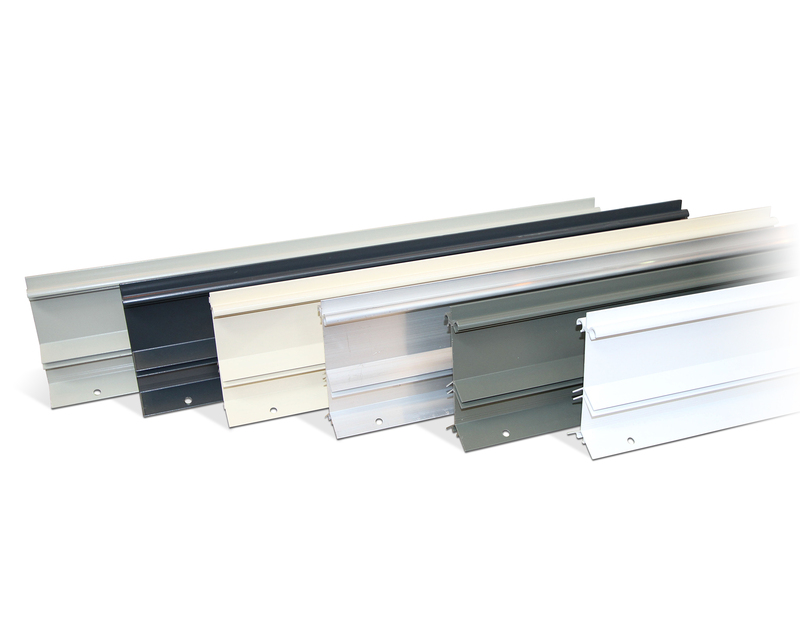 The sheer strength of the R-Pro bars means additional internal bracing bars are not required, leaving a more uncluttered and spacious interior with far ‘cleaner lines’ for you to work in. 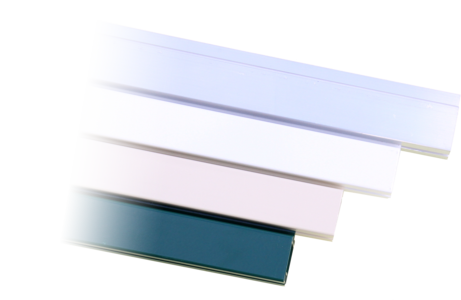 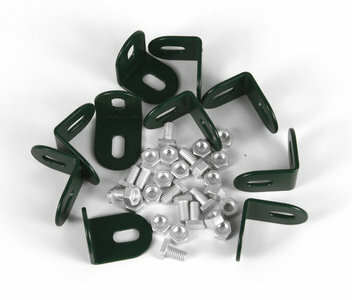 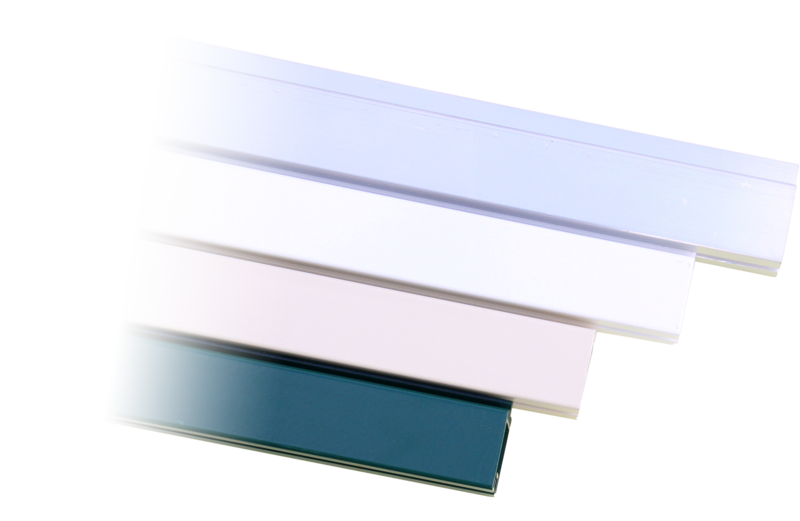 These Pro-cap PVC cappings grip the glass firmly onto the air filled rubber using stainless steel screws. 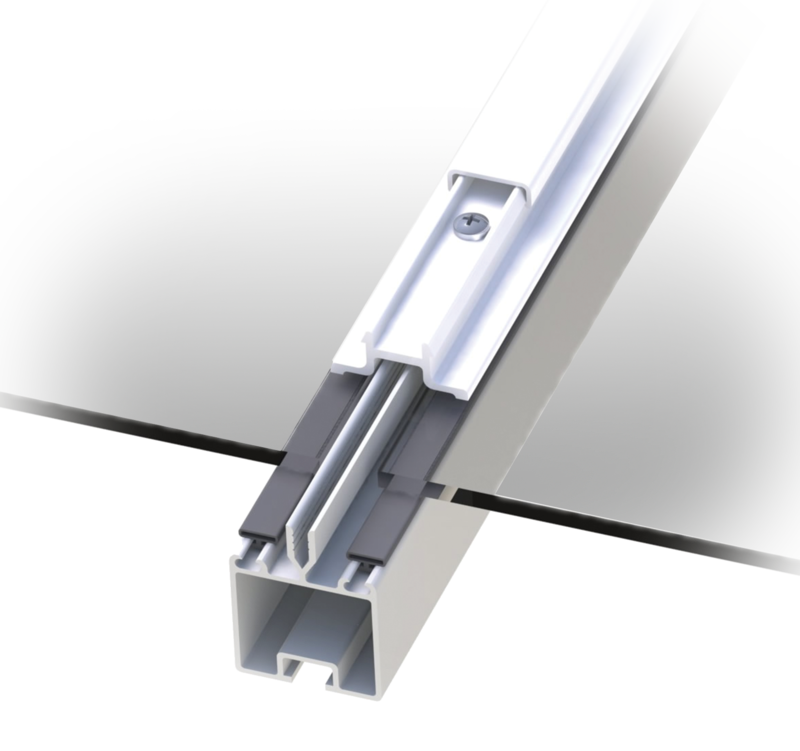 A final Pro-cap cover capping hides the screw heads to leave an extremely strong glazing system that provides a beautifully neat exterior finish and amazing rigidity. The Pro-cap capping system’s PVC material means that on a standard side glazing bar no aluminium is in contact with the outside – helping to keep your plants snug and warm tucked up in your Robinsons greenhouse. 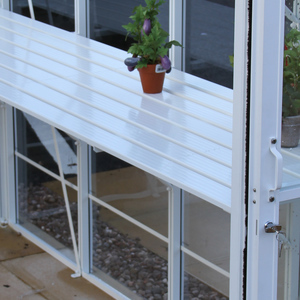 These beautiful Easi-glide doors are achieved by using the special Robinsons Nyloglide door wheels – 4 on each door- for a the smoothest and most reliable greenhouse door that you can find. The precision engineered Go-lo low level door access provides for easy wheelbarrow and wheel chair use with wide double doors being a standard feature on all models over 8’ wide. 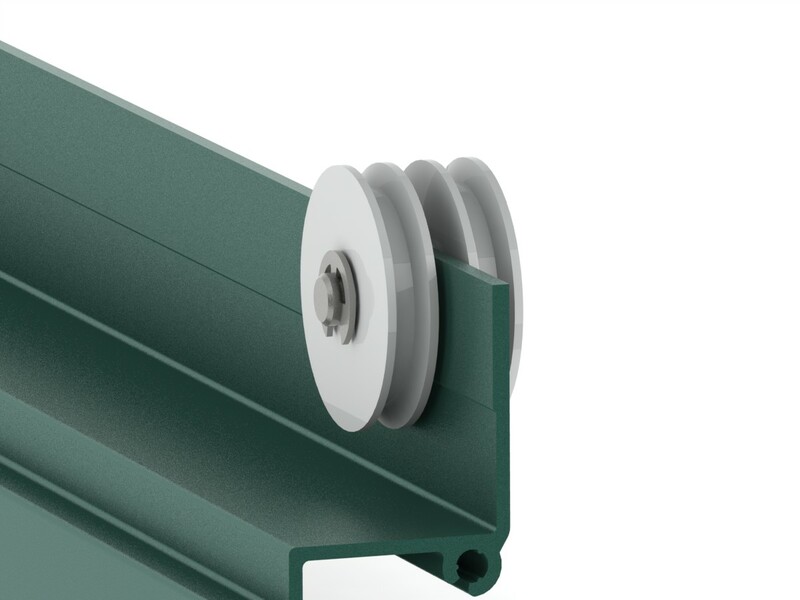 Every model in the range is supplied with a locking door catch to prevent the door(s) blowing open in strong winds. 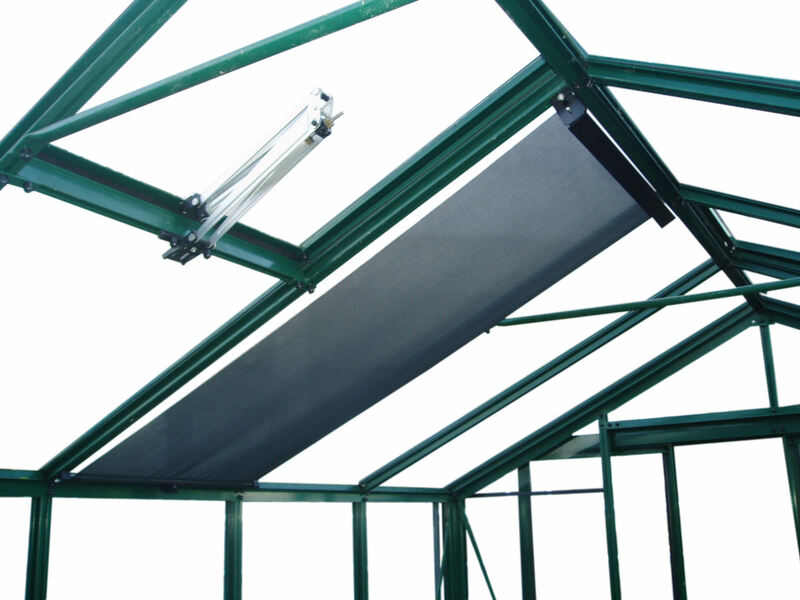 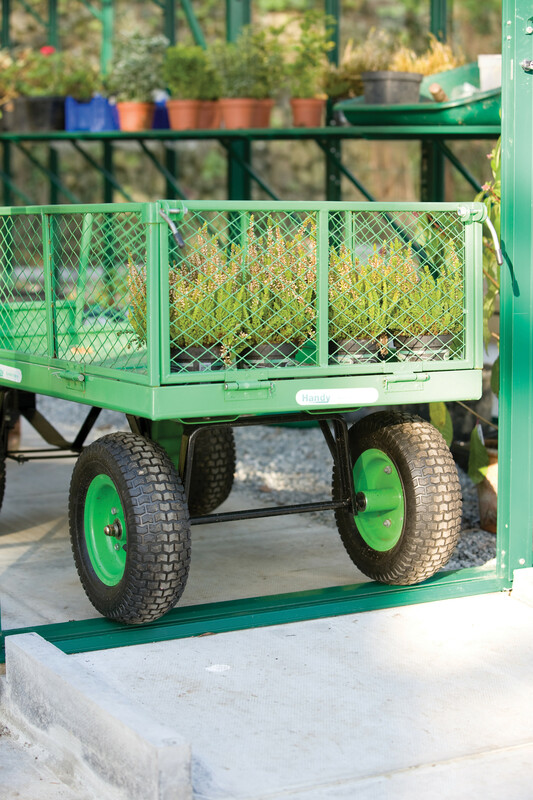 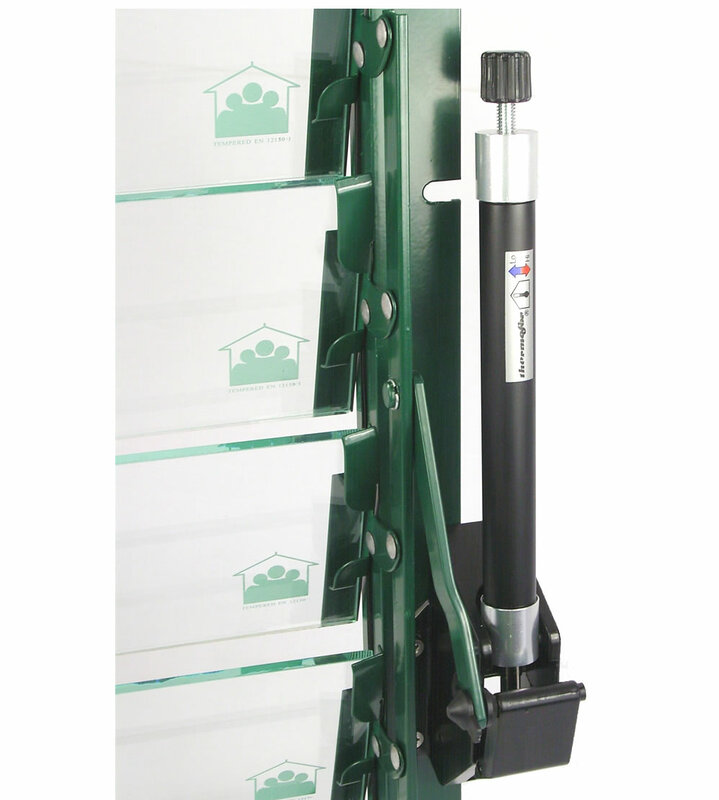 Fully height adjustable, our optional staging and shelving is extremely strong as it is bolted to the side of the greenhouses using tubular cantilever supports. 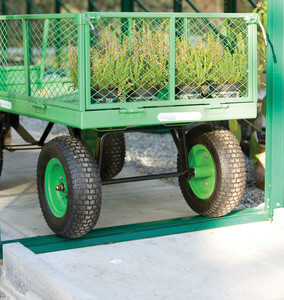 You can set it to your perfect working height along the complete length of your greenhouse and with no vertical legs this then leaves plenty of room underneath for storage of heavy items such as bags of compost and large post or extra growing space.